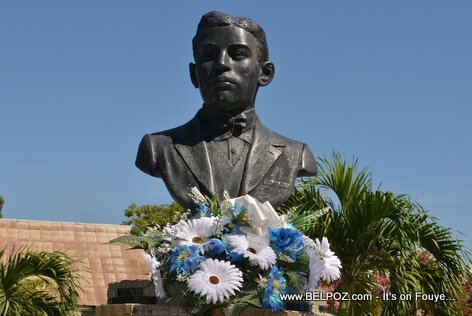 Born in 1886 in the central city of Hinche, Charlemagne Peralte who led a group of freedom fighters called "the Cacos" stood against the US Occupation forces. He was betrayed by his own man and assassinated on October 31st 1919 by the US Marines. Decades ago, a statue of Charlemagne Peralte was erected at the town square in Hinche Haiti to remind it citizens of this great leader. Hinche is also nicknamed the City of Charlemagne Peralte. You have no idea Woodring Saint-Preux I am his direct descent and the most hated in the Haitian community for being like him for upholding his principles, philosophy, and values uncompromisingly. * Much like CONZE gave him up, many ready to do again today. Many hypocrite Haitians ingrates have forgotten men like him why you do not even see any commemorative initiative on his behalf in the Haitian diaspora community. Don't we need men like Charlemagne Peralte today? Haiti is in the same predicament. Mercenaries are trampling the sacred soil left by our ancestors and Haitian presidents and politicians since 20 years ago only validate the unnecessary occupation. Chicago, with its daily violence, is more in need of MINUSTAH.